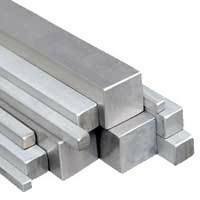 Our product range includes a wide range of monel square bars. We are one of the efficient manufacturer and supplier in the field of stainless steel. Our company is also very reliable and efficient in manufacturing the monel metal product. Our company included a monel square pipes in monel metal product list. Monel square pipes have a square front and have a flat structure. These pipes are manufacture by the high grade raw material and latest technology machinery is available. These pipes are distributed all over the country and highly appreciated by the clients. We can obtain this product in a very reliable range of price. Looking for Monel Square Bars ?